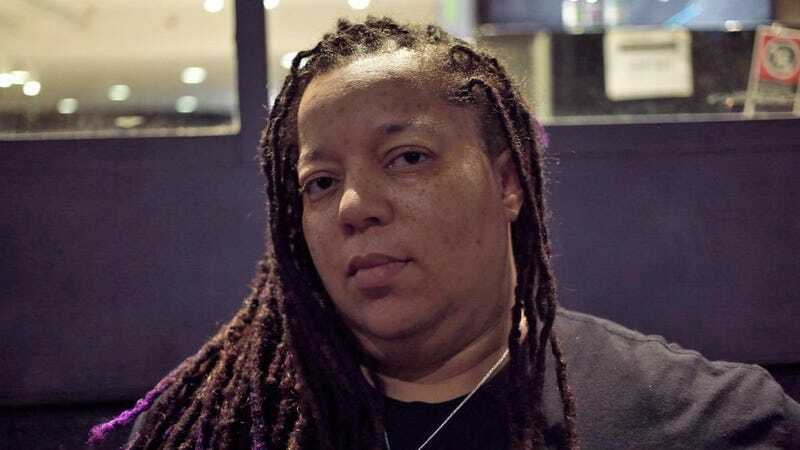 Tanya DePass is a streamer, consultant, and director of a non-profit called I Need Diverse Games. DePass feels like she’s being stalked, she told Kotaku over the phone last week, and she can’t do anything about it because bans administered by Twitch streamers don’t prevent people from watching their channels or seeing who’s in chat. Whenever she streams, she can count on people in her community getting creepy DMs, either from a person who goes by the handle “Mosheddy” or his friends, some of whom have created accounts that specifically mention Mosheddy to taunt her. Other channels DePass has hosted, sent her community into using Twitch’s “raid” feature, or even just decided to watch on her own have also ended up being trolled by Mosheddy and his sympathizers. DePass says it’s made her uncomfortable streaming and forced her to lock down a community she once envisioned as an oasis from social media’s endless, landmine-ridden desert. DePass is far from the only streamer who’s had to stave off Mosheddy’s incessant intrusions. If DePass sends her community into another channel, hosts someone else’s stream, or, sometimes, even watches another channel, Mosheddy follows—into people’s chats, DMs, and follower lists. Blocking and reporting doesn’t help. Twitch partner Brandon “iamBrandon” Stennis was aware of DePass’ situation and decided, in conjunction with his moderators, to ban Mosheddy and related accounts before they could ever chat on his channel. However, on a recent occasion when DePass hosted Stennis’ channel, Mosheddy still showed up by proxy. “Tanya hosted my channel, and a few minutes after, a brand new name in my channel asked specially, ‘Why is Mosheddy banned here?’” he said in an email. Mosheddy himself also DMed people similar messages throughout the stream. DePass and Mosheddy both said that the incident that set all of this off was DePass banning Mosheddy from her Twitch stream on December 17. Mosheddy and a friend were in the Twitch chat asking DePass about the LGBTQIA tag on her stream. She talked about how the tag can serve as something of a signal flare for hateful viewers. Mosheddy and the friend then pushed the issue—claiming, according to Mosheddy, that there are plenty of streamers who use the tag and don’t receive hate—and ended up getting banned. DePass said it was for “being rude about the discussion around LGBTQIA tag and harassment” and arguing with her moderators. Soon after, DePass said, Mosheddy and the friend followed her into another person’s stream and called her “racist,” “toxic,” and “a lunatic” for banning them. At this point, DePass started tweeting publicly about what was happening. Reached for comment via DM by Kotaku, Mosheddy admitted that he has been DMing people in DePass’ orbit and joining their channels for more than a month. In his view, it’s all perfectly justifiable, although his justifications don’t hold much water. “I did stop multiple times, but was invigorated to continue when reading her crusades on Twitter,” Mosheddy said. Even putting aside the fact that “stopping multiple times” is synonymous with “continuing,” it’s not on DePass to stop talking about trolling in the hopes of getting the troll to go away. Mosheddy said he also kept up the messages to DePass and her friends because of the reactions of “random” strangers. “Reading comments from random people who would never know me or even want to hear my side of the story, saying they wanted to break my fingers,” he said. He also pointed out to Kotaku that he had not dropped any racial slurs or sexist comments to DePass, who is black, as if this was some gesture of graceful composure on his part: “And yet I was still able to keep my composure and not say anything racist or sexist towards her, which is apparently her justification for banning me,” he said. Mosheddy cited many more questionable motivations throughout our conversation, including that on one hand he was on a very serious crusade to get justice for a friend who DePass had somehow gotten banned from a channel they were a regular in, but on the other, it was all for laughs. Does Twitch find it funny? Probably not, but it certainly hasn’t taken any action. As Mosheddy’s crusade to troll DePass and any of her friends or associates went went on and on with no resolution, DePass took a step that few streamers are able to: While in San Francisco for business earlier this month, she went to Twitch’s office to discuss the matter in person with its Trust and Safety team. She came away from the meeting, she said, with more questions than answers. “No one could really answer why this guy still had a channel,” said DePass. “He was just skirting the line of what’s actionable.” She thinks that if she was a bigger streamer, things might be different. “It’s not like I make Twitch thousands of dollars a month, because I’m sure if I was a white dude playing Fortnite, PUBG, or some other game making them money hand over fist, this wouldn’t have gone on for hours, let alone a month,” she said.